How many of you have candles that look like this? I have an entire shelf of them hidden behind picture frames! So in an effort to declutter and get a little things organized before we decorate for the holidays I decided to take these ugly things and make brand new layered candles. This was such an easy project to do. I can’t believe I never did this before. All I needed to get were these wicks from Michael’s and one new glass container. I decided to get a new glass container because it was only $1 and I needed something clean to pour the first candle in. Then you can start cleaning out the old ones and reusing those glass jars. Step 1: Melt your first candle down completely. I put mine in a pot of boiling water. It only took about 5 minutes for the candle to turn to liquid. Step 2: Place the new candle wick in your clean jar. I wrapped it around a popsicle stick so it wouldn’t fall over. Step 3: Pour melted wax into new jar. Let cool completely. Step 4: Once the first layer of wax was completely hard, I melted the next candle down on the stove and poured it over the first layer. Repeat with one more layer or until your glass container is full. Step 5: Cut the wick. Burn and enjoy your new candle!! I tried to combined scents that complimented each other. One candle has a layer of sparkling vanilla, apple spice and toasted cinnamon spice. The other one combined my summer scents: caribbean salsa, strawberry shortcake ad island colada. Now I’m off to steal I mean collect old candles from my neighbors so I can make more!! Did I mention how nice your house will smell from melting the wax on the stove? I hope you have fun creating your own upcycled, layered candles. WOW! That does look easy. I’ve got about 20 or so candles lying around that I need to do this to. I love your blog. I’m your newest follower. Yum! What a great idea to make use of the wax. I bet that Fall one smells wonderful. AWESOME idea! If you get a chance, I’d love to have you link up to my party at http://scrapbookingez.blogspot.com/2011/11/anything-goes-linky-party_17.html. Thanks for sharing! This is one of those things that is so smart and at the same time, why didn’t I think of that? Sharing it on Pintirst and my facebook blog page for Life, Love, Green tomorrow! what an awesome idea! I have so many candles that I could do this to! 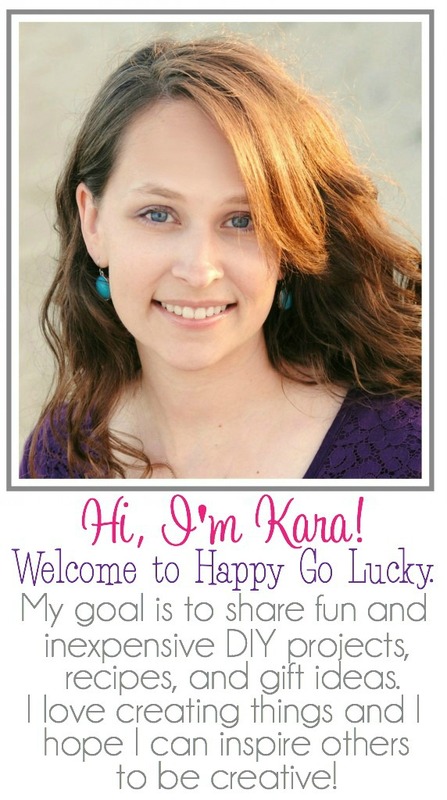 I would love for you to share it over at Totally Inspired Tuesdays at The Inspired Collection. Wow your candles turned out SO nice! Thanks for joining in Make Yourself Monday!! Cute candles!! I remember making candles as a kid, but they didn’t turn out this nice =-) I wanted to invite you to link up at TGIF http://livinglifeintentionally.blogspot.com/search/label/Linkey%20Parties or come on by to try and grab one of the Guest Poster spots I’m offering up. Have a GREAT Thanksgiving!! AWESOME! This is perfect:) I am seriously loving your post! It is so informative and I think my subscribers would really enjoy reading this. I would love for you to come share it at Frugal Days, Sustainable Ways on Frugally Sustainable (http://frugallysustainable.blogspot.com/2011/11/frugal-days-sustainable-ways-2.html). I really hope that you will put Frugal Days, Sustainable Ways on your list of carnivals to visit and link to each Wednesday! Great idea! I haven’t had candles around for awhile though, I’m more of a scented wax warmer gal… but if I ever find myself with overused candles, I’m doing this! What a lovely way to recycle! We all have those lovely candle bits! I hate to toss them out as well so they sit there all lonely under the sink. Holidays are coming and this is a lovely gift idea too! Very smart! I wish I was so clever. Have you heard of Scentsy? None of that fire stuff, all the good scents and variety! We’ve also poured wax into tiny bowls to cool and reuse as tarts. Such a great idea! Ive thrown away SO many of these… never again. Scentsy is SO much safer!! No Flame = no fire hazard, no smoke, no soot, and no lead!! PLUS we have over 80 scents!! That is such a great idea! Thanks for sharing! P.S. I’m spotlighting your post on my Facebook page today! This is such a great idea! Who doesn’t have old candles at home? I love it! Great idea! Do you just put the entire old candle in jar and all in the boiling water? What a great idea! I’m inspired! I’ve got a warmer, so can melt in that also, but my candles seem to loose their smell after awhile – at least they seem that way to me. I just threw away two big jars that held candles also, bummer. I am going to do this TODAY! Thank you! One question: You said you melted the wax by putting it in boiling water … did you literally place the whole glass jar in the pot? I am guessing you don’t submerge it, but what did you do to get it out and pour it without being burnt?! This is a great idea (found you on Pinterest)& I’m going to round up my flavors and see what beautiful new candle I can create too. Thanks for sharing! I have been a candle maker for years-few hints-you don’t have to wait for layers to harden completely, and if you will trim the wick to just above the height of the container before pouring wax you won’t have to twirl around anything, then trim it closer after you have finished. Also keeping your wick trimmed before each use will help prevent the black on the side of containers! I never light my candles, but melt them on coffee cup/candle warmers & never have leftover wax. So much easier & no risk. I have never used a comment section to promote my biz….with that said….I’m going to throw this out there. My candles are virtually soot free…none of that yucky black soot. They are 100% natural wax with cotton wicks. They burn completely (down to about 1/4-1/2 in of bottom of jar) and smell the same at the bottom as they do at the top. Should you want to use the very little that is left over, it just pops out and you can throw it in a melter. The ‘bottom’ wax smells just like when it was a freshly lit candle. My site is http://www.indulgentaromas.scent-team.com, should you be interested. These candles are hand poured in the USA! Great idea – we all have these. You can easily wipe the black soot from inside the candle to make the glass clear again. It wipes right off with a paper towel or rag. Also, I melt my candles using a candle warmer so no black soot. I do this to my tealight candles! I also have a candle warmer, so that makes it easier to melt the wax also. So much better than to throw away my little candleholders just to buy new ones to put the tealights in. Great idea! I wish I knew about this a few days ago before I threw a whole bunch of them in the garbage. Could you please remind your readers to practice fire safety? My roommate was working on a similar project and did not use a double boiler to melt the wax. The result was a fire that landed me in the hospital for three weeks. Use a double boiler! And if a fire erupts, smother it–do not use water! I just came across this on Pinterest. So funny because my Hubby & I just did this a week or two ago to use as Christmas gifts! What a great idea! I think I will give this a try! What a great Idea!! I am a scented candle freak…..Love Love them, how did you get the scent in your wax? Be VERY careful doing this! We’ve done it since I was a kid, then a couple years ago my mom was doing it and the wax started to smoke. She took it off the stove and didn’t have anywhere to set a hot pot but the sink, so that’s where it went. But when her leaky faucet dripped water into it, it lit on fire!!! There was smoke damage all over in the shape of flames. So word to the wise: watch your melting wax very carefully and don’t let it get too hot, especially with very oily candles such as Yankee. Chiming in on the “Be Careful” posts: I recently experimented with something similar- the (liquid) wax started smoking from tiny specks of metal that flaked off of the wick holder from an old candle I was melting down. This alone was bad, as it ruined the wax color (purple turned black) and scent (burnt wax… smells terrible!) However, it got much worse when a single drop of water hit the pot of liquid wax as I attempted to fish out the metal flakes, and wax exploded all over my kitchen like a firecracker. For this reason, I recommend cutting the wax off of the wick before placing it in the pot to melt down. If you love scented wax you have got to try Scentsy! Smells awesome, lasts longer without the fire danger and nasty soot. Awesome idea! Haha at all the posts begging for new Scentsy customers. Scentsy costs an arm and a leg and isn’t any better than other brands. If you pay attention there is no fire danger and I never have “nasty soot” from my candles or tart warmers. I make my own candles, but mostly refill empty candle jars for friends and customers. I tell them to melt down their leftovers and pour them into cupcake wrappers to use in their melters… this way they have something nice to smell while they are waiting for me to refill their empties. I did this about 4 months ago but used my crockpot and sat the candle jars in it with the water halfway up the jar. Took about an hour or two to completely melt.Used a skeewer to fish out old wicks and reset new ones in, then combined complimentary waxes in the jars. Made about 6 “new” candles.be sure to use tongs( canning ones are great for this) or a pot holder to take jars out of water bath. I found you blog (this post) through Pinterest and I hope you wont mind if I share the how-to basics on my blog (with a link back here of course) after I make my candles this weekend. Thanks! People use common sense: DON’T DO THIS AT CRAZY HIGH TMPERATURES!! WAX IS FLAMABLE!! Research anything before you attemp to do something! I don’t like candle warmers, Electrical fires can be just as bad from small appliances! Also, they do break the thin glass of the candle jar. Now, to get on with the fun, I made candles last year doing this. I still have supplies & will do again. The only problem I have is the “Tornadoe” (pulling down) when the wax dries on the wick. I have found out, the wax is drying to fast & I have to slow down the pouring of the wax. I tried doing my candles like you do yours, but the “Tornadoe” was so bad!! So, I started melting down wax in large Mason Jars. Jars in Hot water (over low to med) (on stove top). Yes, this is slow, but it is the only way, I can do this with out getting the “Tornadoe” Then after melting wax, I pour wax in small jars or candle holders. I had a little candle company going. (not for profit). I tend to go overboard when I get into something. Then everyone started giving me there old jars & candles. I am interested to know if you have the same problem &/or, how you avoid this issue. Regina, basically, the only way to avoid having the ‘dip’ or as you call it ‘tornado’ in the middle of a jar candle is to do a repour. Let the first pour harden, then pour a repour and it will look professional! This is how I did it when I was a candlemaker. You can do it! We had done this and not only did we have the tornadoes, my candles didn’t put off much of a smell. They were vanilla and smelled great when burnt originally and when melted down; couldn’t even smell after I redid them. I got frustrated and threw everything away. Waste of time on that one! dont forget to dip the wick in the wax before pouring the candle! It will just burn up! I did this and used mason jars…really cute! As I use up my candles, I throw the wax in an old crockpot that I use just for melting down wax. I have made “new” candles, and have also dipped pinecones and little twigs in there to use as fire starters. Love the pinecone/twig as firestarters idea! Thanks for sharing! what a great idea! I love candles and burn them all of the time! thanks for sharing and posting! I have been making these for years! You can also use melted votive,remove the wick save it,after you pour the wax in your container put the wick back in and make large 3 wick candles! I actually re-used the glass jars and lids for Christmas gifts – I made scented essential oil bath salts and filled the jars. Just put the burned out candle in the freezer overnight, pop the wax out with a butter knife, and clean the jar. Do you have a link or recipe for how to make the scented essential oil bath salts? Sounds like a great (and inexpensive) thing to send to my daughter’s teachers as gifts! Great idea! I also have some smaller candles that I have received as gifts and this would be great to turn them into bigger candles that I would actually use! Email your address to me, and I will send you -at no charge-an candle that won’t tunnel-and you wont have to de-clutter ever! NEED HELP FUNDRAISING? ASK ME ! wow, great idea, and I was just wondering recently, what to do with almost to the bottom candles! Thanks for the easy tutorial! Gonna do it! PS I’m your newest subscriber! Couldn’t resist, LOVE your blog! found you via pintrest! That is such a cool idea. Thanks for the tutorial. This is a great way to use up old candles. I’ve used them with my candle making kit. What about those candles that are not in a glass container, but just a block of wax wrapped in a plastic cover. How do I melt those? Take off the plastic cover and place the wax in a tin can. Put the can in the water bath. I love this idea. I was just getting ready to declutter my “candle shelf” and was a little disheartened to think of all the waste. I’m so excited to get all “new” candles! I don’t know if someone mentioned this but I line a cupcake pan with paper cup cake liners and the poor the melted leftover wax in those and cool. I turn all my jar candles in the little tart warmers that way. Just don’t over fill the paper cups. pour the melted wax into ice cube trays. Pop out and place in freezer bag, and freeze. Take out whatever you want to use on tart warmers. Oh, I LOVE this idea!!! Thanks! That is such a cool idea! How do you melt the candles in boiling water though? do you put them in a different container and then the container in the water? and do you just scrape old candles out or their jars?? This is a great idea, I will definitely use this for the fragrances I buy frequently. As for the others, I have two candle warmers that we use, it evaporates them so we get use of the entire candle. Now if you can just come up with an idea on what to do with all the jars. That’s my biggest problem. I can’t get rid of them. i have done this before and it saves alot of money. recycle everything you can. I have been wondering what to do with all the left over, half used Holidays candle jars….this is a great idea. Thank you so much for sharing. great tutorial. May I add one suggestion? Make sure that the glass container you use is “tempered” glass because if not, when you heat it up, it may shatter. That happened to me once and it is NOT a fun thing to clean up and it is also dangerous. I tried something similar to this. Melting down candles on the stove. Stove caught fire….kitchen caught fire….and I caught fire. 3rd degree burns on my leg and foot. 2nd degree burns on my hand. JUST GO BUY NEW CANDLES!!!!!!!! OMG!!! THANK YOU for posting this….I was going to recommend this to my SIL who LOVES to burn candles…NO WAY am I going to do that now! NOT worth it at all!!! I hope you are still recovering well! Did you use a double boiler? Sounds like you didn’t, which you’re supposed to when melting wax. ALWAYS use a double boiler & NEVER leave it unattended!! Also, NEVER pour water on wax, it will explode- cover or use an extinguisher. Hahahahaha, just because you’re a dumbass doesn’t mean other people are too. In other words, STFU MIKKI! That’s a nice idea but I simply cut out the bottom half-inch that doesn’t melt and use the bits and pieces in a YC (or other brand) tart burner. I don’t know why it is but I find that large YC HW jars lose a lot of their smell at the bottom 1/3-1/4 of the jar and finishing them off as tarts works for me. If you don’t use or repurpose your candle jars, be sure to put them into glass recycling if nothing else. If you put the entire jar in the freezer, it’ll pop right out of the glass in about 5-10 minutes. I’m new to your blog via Pinterest, & am now following the LF. This is a great idea. I always keep the cute little jars that candles come in & use those for everything from buttons, etc. in my craft room, to sugar scrubs or even as a cloche to display something. I like flame-type candles, burner type & even the battery-operated ones. I love these especially for places I would not be able to have a lit candle — bookshelves or 12 feet up on a display shelf. I have some battery-operated ones that have a built-in timer for some areas in my home that are only reachable by ladder. Candles of all-types are such a wonderful accent item. As others have said, caution is always key. Thanks for sharing this great idea. Thanks for this! I had a blast making them! Great idea and easy! Thanks! Great idea and plenty of wonderful ideas in all the posts, as well! Thanks! I used to have this problem till I switched to Party Lite candles. They burn even and for many hours. When I’m done burning them all that is left is the small metal wick holder. Please be careful when reusing the jars that the candles were in originally as they were really only meant to be used once. You can always upcycle them into storage or other crafts, but it is not in the best interest that they be used for another candle. I’m sure many of you have not had any issues, but if the glass has any flaws they can shatter on the second go-round. I melt mine in the oven on low heat then pour in ice cube trays for use in a scent warmer. You can also skip the wick step and just use the remelted candles in your candle warmer, adding a little warming oil to the melted wax if the odor is depleted. What a fantastic Idea!! Very creative and inexpensive! I would use a cleaned out jar from jelly, salsa etc. Great idea, we use brandy or whisky tumblers as Yankee wax cleans out of them so easily when they’ve burnt down. this is something I really want to try.. and so helpful. Thank you for the info..!!! I melt them down in a pot of boiling water, just as you did. Then I take a cheap $1.00 ice cube tray (I have tons of them) and spray it with regular cooking spray. When the candle melts, I pour it into the ice cube tray, let them set, and then I have tarts! Waste not want not…I’ve been doing this for years. My husband has always thought it crazy! PLEASE TAKE DOWN THIS POST. This such a dangerous thing to do! I can believe anyone would do this. Do you know how low the flash point is for paraffin wax? It’s very easy to start a fire when you have no clue what you are doing. NEVER EVER EVER heat paraffin wax without double boiler. Unless you are going to educate your readers on how to safely meat wax a post like this completely irresponsible. Such a great idea! Can’t wait to try it out! Excellent idea! I reuse my old candle wax with my tart burners…works wonders especially when they never evaporate! Having made candles, I am very concerned over the safety of this post. I would not entertain immersing the jar in boiling water as this could shock the glass and compromise the integrity of the container causing it to shatter. Wax is flamable, and great care must be taken when melting it, and it is recommended that a double boiler is used at all times. If you burn your Yankee Candles properly they will never end up sooty or looking like the ones in the illustration. Keep the wick trimmed to one quarter inch, allow the candle to ‘pool’, that is to burn until the wax is melted right to the edge of the jar before blowing it out, about 4 hours. 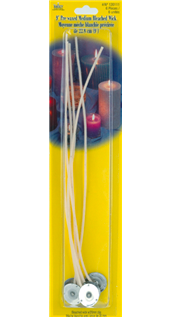 This ensures that you also get the maximum fragrance and burn time from your candle. There is nothing wrong with recycling, just be very careful and exercise caution when handling melted wax as it is a dangerous, flamable substance that can burn. I take my old candles and with cardboard egg cartons and dryer lint I make fire starters for my wood burner…Just stuff lint into egg carton, pour melted wax in, cut apart into individual sections and store near fireplac/wood burner. You still get the “scent” and when lit with kindling one starter and a match do the trick!! You, my friend, are a genius! I just made 4 adorable mini candles with old Yankee Candles and also those tart things from Michael’s. They came out awesome! Thanks so much for this awesome recycling craft! My fiance is off from work this week, and he is doing this right now! Can’t wait to see the results! I have been doing this and adding paraffin to make fuller candles that arent so smelly. my sons allergies do do well with heavy scents. I am giving upcycled candles for christmas this year. Hi there! Thanks for posting this super tutorial. Just wanted to add that I used a mug warmer instead of trying to boil the jars to get the last little bit out. It made the process super easy. I found this on Pinterest and thought it was a fab idea so I gathered up my old candles and did this last night… Here’s a quick question though, now that everything has set… the centers of the candle sank down. Did this happen to yours? I don’t think they will burn properly since the middle is so low. Did I do something wrong? Love the upcycled candles they came out really nice. The centers sink because that is not a one pour wax. One pour wax never does that. It’s also a sign that it’s not pure soy, it has some additives. I’m actually surprised to see the soot on the Yankee candle looks like they are mixing soy with something else…….just something to think about. I have been doing this myself… but one tip is I was trying to hurry through them and I put this in the fridge to cool it down to do the next layer and the glass actually cut right at the hot/cold point. so I now have a short candle…. This is fantastic. I kept some glass coffee jars and was trying to think of what to do with them, this is perfect! Thank you for your great ideas!!! If you use two wicks, it will burn evenly. and linked back to this post. Thanks for such a great idea! I may get poo-pooed over this, but when I melt my old candles and re-pour them, I find small flat pieces of wood in the yard or small,skinny twigs and use them for wicks. They give the crackle of a fireplace and we enjoy them. We live on a 100 acre farm, so I have an abundance of twigs! Once the candle is out clean a d reuse the jar. Makes an awesome planter for a houseplant you start yourself from s clipping or leaf. Perhaps a jade or spider or Christmas cactus. Start several…they make great gifts in nice containers. love this idea making right now!! I’ve done this with the same brand wick and yankee candles. Worked well for the first 1 or 2 uses but after that wouldn’t stay lit for more than 5 minutes. Any suggestions? Love the idea. This could be such a nice christmas gift for my grandparents. Thank you! I have done this on more than on occasion. My problem is they won’t burn…. This is a great idea, you can even make your own wick by taking a thick string or cord, after you melt the first candle, dip the whole string into the wax, lift out and hold a couple minutes till dry, then do again. For a weight, I used a button, tied it to the string, kind of a weight. Then follow the other directions. This is easy when you can’t get to the Hobby Store and are forced to innovate; A true recycle project, thrift have a abundance of clear containers for pennies. thank you for posting this one, i have many old jars candle ready to throw it out, this post save me for doing it. of writing is truly pleasant, every one be able to easily be aware of it, Thanks a lot. Please please add that the water should be boiled, removed from the stovetop and transferred to a nonheat conducting surface like a trivet. Do not put the pot on the countertop or in the sink. And please use glove-like pot holders to avoid water or wax splashes. Too many household accidents are easily avoidable. i hate all those candles that dont burn right. save your money and buy candles at ourowncandlecompany.com….They burn down to nothing, no waste and are only $8 a candle versus $25 for the Yankee Candles, smell great, lots of scents and you can wash the mason jar and use as a mug. Dag nab it! I just threw out all my old candles and the trash truck already came or Id be dumpster diving!!!!!! grrrrrrrrrrrrrr. Greetings from Washington State! I poured “new” candles using your method, even buying the wicks from Michael’s, but the candles won’t burn. The wick burns down to the wax, then it fizzles out. Any idea what I’ve done wrong? Help, please!! I love Yankee Candles..just bought a new one for my guest bathroom vanity yesterday called Sea and Sand and before you burn it, it does take on the scent of the Sea, sand and suntan lotion..once it burns it has a strong perfume fragrance. The little lampshade that goes on the jar is made of like pearlized shells. very pretty. I am not interested in melting candle wax or making more but if all the original wax has been burned off, why couldn’t you wash it really good, get rid of all the smoking soot on the jar and use it to store something like candies after it has been washed up really well? Sort of like an apothecary jar? msn. This is a really well written article. I’ll be sure to bookmark it and return to read extra of your helpful info. To make use of my old candles..I just found out that my gravy boat warmer fits a Bath and Body Works 3 wick candle perfectly. So I now warm my candles that can no longer be burned with my gravy boat warmer! And the gravy boat and warmer was only $6.99 or so maybe $10 at the most at Aldi! Has anyone had trouble with the candles they’ve made from un used wax not burning? I made votive candles with wicks I bought from Hobby Lobby. The candles start to burn and then pool the wax all in the middle and they go out. Why would that be? Do I need a different type of wick? I Have The Same Issue . I Was Wasting My Time Making Candles That Would Not Stay Lit . I Also Would Like To Know The Answer To Your Question . I save these candle jars and use them for storage of kitchen goods rice things like that or for hobby items. The left over wax is easy to remove, Cut with a knife in fours and the pieces come right out , I then soak with vinegar to take any smell from candle out Then I wash out by hand then run through the dishwasher ready for use. Useful piece . For what it’s worth , if anyone has been searching for a Mosaic 1 Grammar Answer Key , my boss encountered a sample form here https://goo.gl/3GpRZC. Exactly the information I needed. I am several years late reading this, but I too am cleaning for the holidays. I haven’t tried making candles since, well rather not say. A long time ago. I did it near fa sink ans spilled lots of wax down the drain. What a mess. Daddy, Help. Lesson learned and remembered well. Can’t wait to get started on my old candles this time. Have a Merry Christmas. I have been saving wax to reuse but wasn’t quite sure how to do it. I saw this and thought i’ll save it and eventually try it. Well…I tried it and I absolutely LOVE it!!! The process is so easy and inexpensive. It also allows room for creativity. Thanks so much for sharing. this but I line a cupcake pan with paper cup cake liners and the poor the melted leftover wax in those and cool. I turn all my jar candles in the little tart warmers that way. Just don’t over fill the paper cups. I love this idea. I was just getting ready to declutter my “candle shelf” and was a little Crypto Currency lattest news disheartened to think of all the waste. I’m so excited to get all “new” candles! These beautifully layered candles are awesome. I will surely try this great tutorial at home.